With every one’s budgets being closely scrutinized, it has never more important than now to make sure you are spending your training dollars wisely. As training expenses are usually the first targets to take a hit, with some careful planning you can still ensure your staff is properly trained at minimum cost. 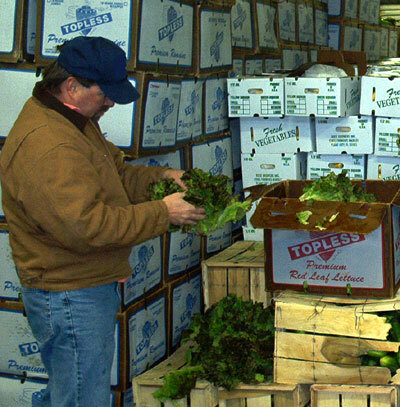 Most produce companies utilize the “hand me down approach,” as a seasoned QA personnel passes down their knowledge to those new to the produce world. Although this may appear to be cost effective at first glance, the experienced workers may not be as qualified or up-to-date on the new scoring guidelines and grade standards as you would hope. They may actually be passing down incorrect information to the future QA Staff of your company. These mistakes could lead to huge losses by receiving produce with quick moving defects, such as russet spotting on lettuce, or bitter pit on apples and rapid moving decays, such as anthracnose on watermelons, or bacterial soft rot on tomatoes, or transportation problems with chilled or frozen product. * Keep the class size small, to ensure your staff is receiving personalized instruction. * Not all training has to be formal. Don’t be afraid to think outside the box and request a “hands-on” training method. Many people learn better from seeing and watching than by sitting and listening. Please comment if you have any ideas, suggestions or comments to share, concerning your training program. I just completed a week long inspection training class put on by the USDA. Although most of the information was beneficial, I felt some of the commodity classes were a waste of my time. Although we are a full service wholesaler, some of the items taught are not an issue for us. I will recommend we seek out a training class designed to our company’s specific needs. With only 2-1/2 of the 4-1/2 days being devoted to commodities, spending about $4,000 including registration fees and expenses, per person, was a bit pricey.